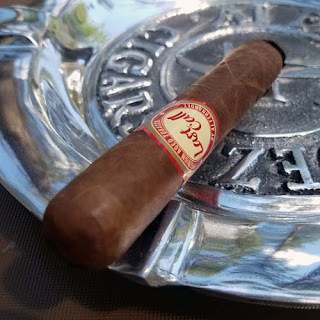 Cigar & Coffee: Jason Holly Of Viva Republica To Unveil "Ivy"
April 27, 2016 - Jason Holly will unveil the release of “Ivy” at an exclusive event at Casa de Montecristo in Countryside, IL on Thursday, April 28th. “Ivy” is a project that although under parent company Viva Republica will boast a completely different personality - initially Ivy will only be sold in 100 specially selected retail shops. The first batch of “Ivy” is an Ecuadorian Habano Corojo wrapped expression of a complex but balanced set of earthy and fruity flavors partly derived from its double binder of tobaccos from Cameroon and the Dominican Republic. Inside the alluring wrapped is a blend of high primed filler leaves from the Dominican Republic’s Cibao Valley and Nicaragua’s Estelí and Condega regions. While the cigar is full production it is only being offered to an initial 100 accounts. “There’s a very specific growth plan that we have conceived to properly introduce Ivy to the marketplace,” said Jason Holly, owner of Viva Republica, parent company of Ivy. The first offerings include a trio of sizes: Lamont (Corona - 5.25 x 43) $12 MSRP, Dudley (Robusto - 5” x 50) $13.25 MSRP and Porcellian (Double Corona - 7.5” x 50) $14.50 MSRP. “We have some other sizes already produced and aging,” Holly said, “They will start shipping by the end of July.” All tobaccos used in the Ivy Habano blend have been aged a minimum of five years. The first batch uses filler tobacco from 2007 and 2009 and wrapper leaf grown in 2008. It’s not the same style cigar as you may expect from Viva Republica, focused on well-aged and nuanced tobacco rather than the typical power-forward blends Viva Republica has produced such as Advanced and Guerrilla Warfare. Ivy ships in ten count boxes designed by noted illustrator Glenn Wolk, who has done product design for the likes of The Beatles, Ralph Lauren and Tommy Hilfiger. Holly said there will be future blends and releases in the Ivy line but would not reveal how or when new accounts would be added. As typical with other Viva República products, Ivy is produced at La Aurora, S.A. in partnership with Don Guillermo León and exclusively distributed in the United States by Miami Cigar & Co.